Welcome to the Anderson High School Football Alumni Association, your place for all things Anderson High School Football. 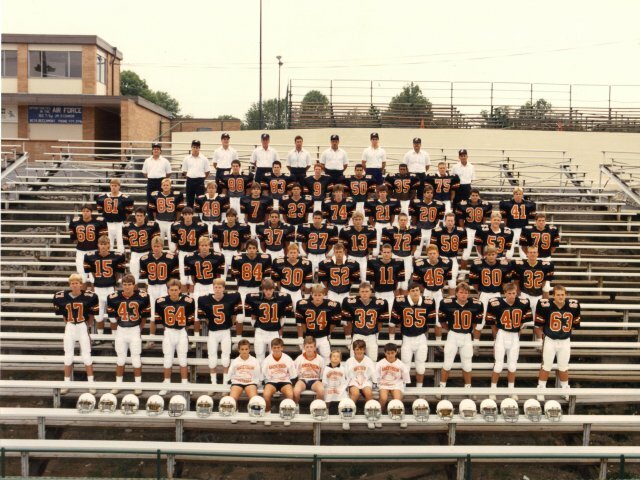 From past players and coaches to current Redskins making us proud on and off the field today, we are happy to bring you closer to the long history and tradition of Anderson Redskins football. Take a look around. It's nice to have you back! Listen to our live stream from USBN Sports as they broadcast every Redskins game throughout the football season! Click on the Listen Live link to follow your Redskins into victory. Relive your time at Anderson High School and the glory days here at AHSFAA. Old team photos, events, alumni gatherings, etc. The Tradition Continues. The rich history and tradition of the Redskins program runs deep and lives within us all. Watch past highlights and games, check out old team photos, and relive your glory days as an Anderson Redskin football player. Watch past games, videos, documentaries, interviews and much more here at the AHS Football Alumni Association. Sign up with your email address to receive news and updates on all things Anderson football. As we like to say, "Once a Redskin, Always a Redskin." High school sports are more than just a game, they are a way of life, a way to communicate and grow, and a path to success and happiness. 2007 OHSAA Division II State Champions!